The following comes from an early August blog on the blogsite of Bishop Robert Vasa of the Santa Rosa diocese. To see all of Bishop Vasa’s recent blog postings, click here. “…And yet the old adage about the need to “hate the sin but love the sinner” makes perfect pastoral sense, but the situation is often made very difficult when the sinner has such a solid affection for and attachment to and even defense of the sin that any attack on the sin—not the person, but the sin—is deemed an unjust and indefensible attack on the sinner! – This is a clear symptom of a seriously defective formation and understanding of conscience. Amen! Bishop Vasa hit the nail right on the head, and he has reminded me to take out my St. John Vianney chaplet to pray for priests tonight. Priests should go to pre-confession to a woman/girl in order to become more down-to -earth. Otherwise they become like Saint Augustine or Saint Thomas Aquinos – who said that women are less than a man. I wonder what St. John Vianney would say to that! Talk to your pastor about that-he may realize that there is a great need to evangelize the TRUTH in your parish. Time was that every homilly had a moral teaching connected with it. I am not aware here of how many priests do that. Only a couple come to mind and they are staffed by Order priests who are FAITHFUL to the teaching magisterium. People flock to their parishes. The goal of some priests seems to be to make people “comfortable” because they work hard all week and need some relief. Huh? If only our bishops would see the need to establish a national guideline to homilies that systematically TEACH the TRUTH and BEAUTY of our Faith, making clear we understand sin and what it does to US, and our neighbor, to say nothing of what it does to our relationship with the Trinity. I don’t know, Jenny. I have gotten some excellent advice from priests (male of course) down through the years. It has saved my marriage and even my life when one older priest talked me out of a doctor recommended birth control pill and into Natural Family Planning for good reasons. Priests also many times take the advice of their mothers, good older nuns, women saints, etc. Don’t count them out because they are male. I’d concur with Anne T, Jenny. Priests do not appear from a void, but come from families. Often the women in those families are a very strong influence as there is no ‘wife’ to take the place of or lessen those attachments. 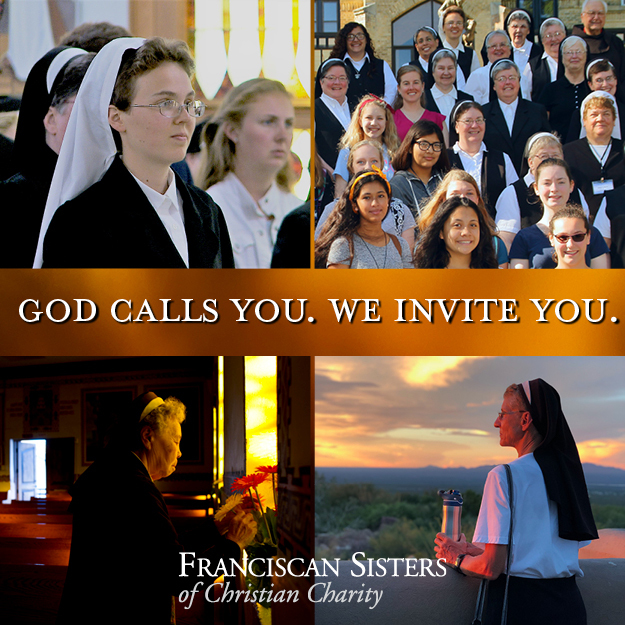 A priest with many practicing Catholic sisters is quite often a particular grace. There are so many holy Priests……and many who have lost their faith. I feel so blessed to have found two holy priests that can guide me on my journey. Praise the Lord. 1) be sorry for our Sins; 2) have the resolution not to commit the sin again. CCC: ” 1451 Among the penitent’s acts contrition occupies first place. 1) Pray for our Bishops and our Priests. 2) When appropriate ask them to conform to the CCC, and Code of Canon Law, and GIRM as required. When a Priest does not conform, report errors and abuses to the Diocese Bishop in writing with documentation. This is also included in the CCC – # 907. You just may be saving the Soul of the Priest, as well as the Souls that he may otherwise lead astray. ADMONISHING SINNERS is a work of Spiritual Mercy. It may save their Souls, and the Souls of those they come in contact with. We should all strive to do God’s will, not our own will. St. Christopher, though most of your post is good, I really think you are unfair to Pope Francis. 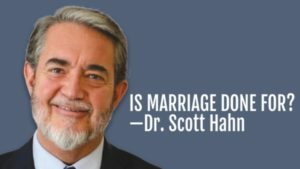 He does come out against homosexual behavior: he even defrocked one priest who advocated it and repeatedly says that marriage is between one man and one woman. Why don’t you look up what he actually says on websites such as Zenit News instead of listening to those who often misquote him for their own purposes. When he said, “Who am I to judge,” he was actually taking about a specific case of a homosexual person who was trying to live a good life but perhaps fell occasionally and had to confess his sins. In other words, he was saying that if the person did show signs of real repentant he was in no position to judge his sincerity. “Anne T”: Thank you. Yes, it is important to look at the original and full text, as much as possible. Unfortunately, Pope Francis has dropped the ball a good number of times when it comes to Catholic Tradition. Sure, he says that he is a son of the Church and all of that, and we all support and pray for the Pope, but he allows himself to be manipulated sufficiently that one must suppose a level of complicity. For example, how to explain the bizarre and wrongful Vatican behavior towards the Franciscan Friars of the Immaculate (now extending to its good sisters)? Unexplainable, except for the hateful Vatican bureaucrats that despise Tradition (and with whom Francis raises no objection). And, why has Francis not confirmed Cardinal Burke? Answer: because the excellent Cardinal is much disliked by the same Vatican power sources. There are a good number of other examples, and the list is growing, unfortunately. The “who am I to judge” comment, again with full Vatican knowledge, has also been used in precisely the same way as was previously discussed — as a way to implicitly endorse homosexual behavior. Just take a look at how the many, many American bishops have become emboldened by these words to be even tougher against the small use of Tradition that had arisen under Benedict and in favor of public “outreach” to the LGBT crowd, the crowning example of this, of course, is the unspeakable reaction of Cardinal Dolan to the St. Patrick’s Day Parade decision on the “homosexual banner” issue and his apparent decision to act as Grand Marshal. A strong and public rebuke of these examples by the Pope is all that is needed to stop this; but it is not forthcoming. We look at the Synod with “fear and trembling” as St. Paul once described (about working out our salvation). Pray for the Pope that he might be open the Holy Ghost (and not Cardinals Maradiaga and Kasper). Your are right, sad to say, Anonymous, that Pope Francis does not always make himself very clear. I also just saw a video about a heterosexual couple dancing the tango after a Mass in front of the altar. I do not know for sure who was the priest serving Mass, but I do know that the sanctuary is no place for secular dancing. Isn’t Bishop Vasa wonderful? May God Bless this very holy soul. What clear, precise, teaching. Given with honey, but with nothing held back. He truly loves Our Lord and is Christ among us. God Bless Bishop Vasa! Now, copy this teaching and send it to your clergy with much love and prayers. Bishop Vasa has a strength of faith in him that he shares with all who know him. Good bless him and grant him the grace he needs to continue to inspire a deeper faith in us all. 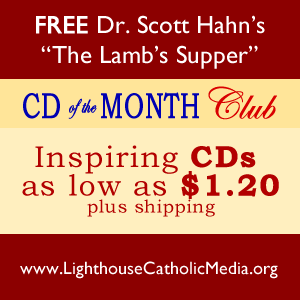 He set a high bar for himself and, by example, likewise for the priests in his diocese. How about this approach as a Model for Faithful Catholic Education in CA?? Founded in 2003, the Regina Schools specialize in teaching students liberal arts and classical education through the Trivium—Grammar, Rhetoric, and Logic. The Common Core is not utilized. Students from Regina Coeli Academy, the first of the Regina Schools, scored in the top two percent of the Iowa Tests of Basic Skills last year. The majority of students average one or two grades above their level, according to Henkels. Love this school…..wish they were here in the Bay Area. Well then – Lets go ahead and Start One. Like many I am also waiting for the opening of Saint John Paul II High School in Livermore, perhaps there is a place for space there. Just Saying – Somebody has got to get doing. Lovely article and so very true! 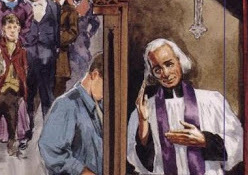 St. John Vianney pray for us. Even in his time, there were priests who were lukewarm and where not good preachers of the truth, same issues today but more known because of media and how often do people gossip and talk behind their priests back but never actually schedule a time to speak to their priests about what they see as error. There is no dialogue and there is no chance to give that person a chance to reflect. In holy scriptures it gives instruction on how to admonish a person privately first, then it gives further instruction on what to do next when they refuse to listen to reason. Excellent reflections, Abeca. But when a large number of those in authority ignore admonishment or neglect to admonish despite the presence of error that is a real problem. If only it were just a matter of correction and reflection. Generations of Catholics are often subject to grave error because of it. That is why it is so invigorating that the above article is passed down by a Bishop! Thank God for that as according to St. John Eudes the scourge of bad priests are a sign of God’s anger. And I believe St. Paul’s admonishments with regard to the correction of sinners who will not amend their ways is to expel them from the community. So absolutely. If priests do not uphold Catholic teaching, they should be made to leave minus the collar. On that we agree. …Moreover, the cardinal said that problems specific to the LCWR are not a reflection of all the women religious in the US. “We need to bear in mind that they do not represent all US nuns, but just a group of nuns who form part of an association,” Müller said. 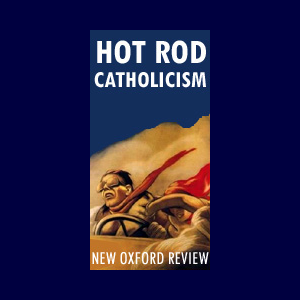 Cardinal Müller’s – the theological drift the feminist nuns are taking constitutes a radical departure from the foundational theological concepts of Catholicism.